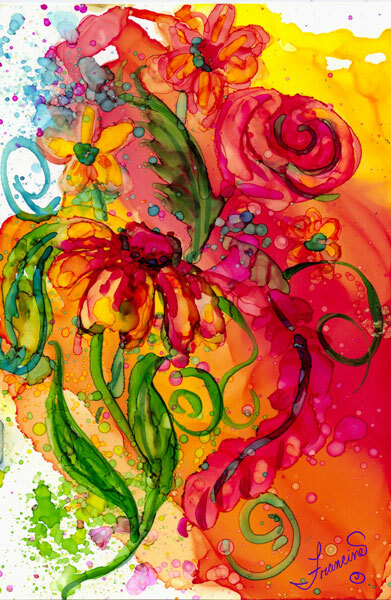 Welcome to the World of Full Color! 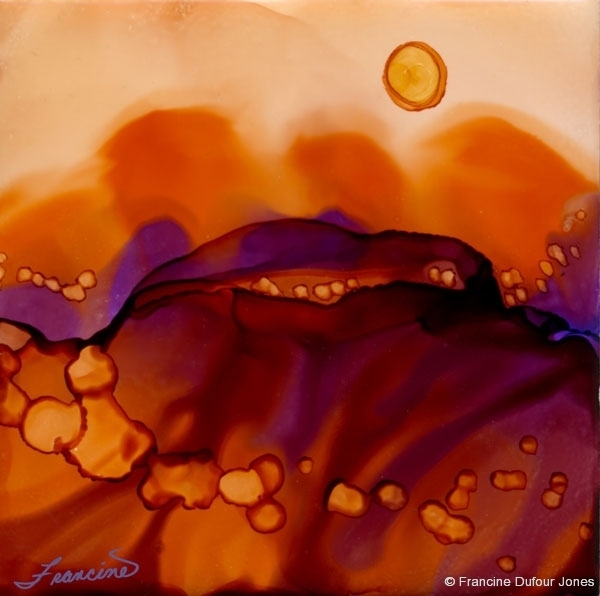 My name is Francine Dufour Jones. 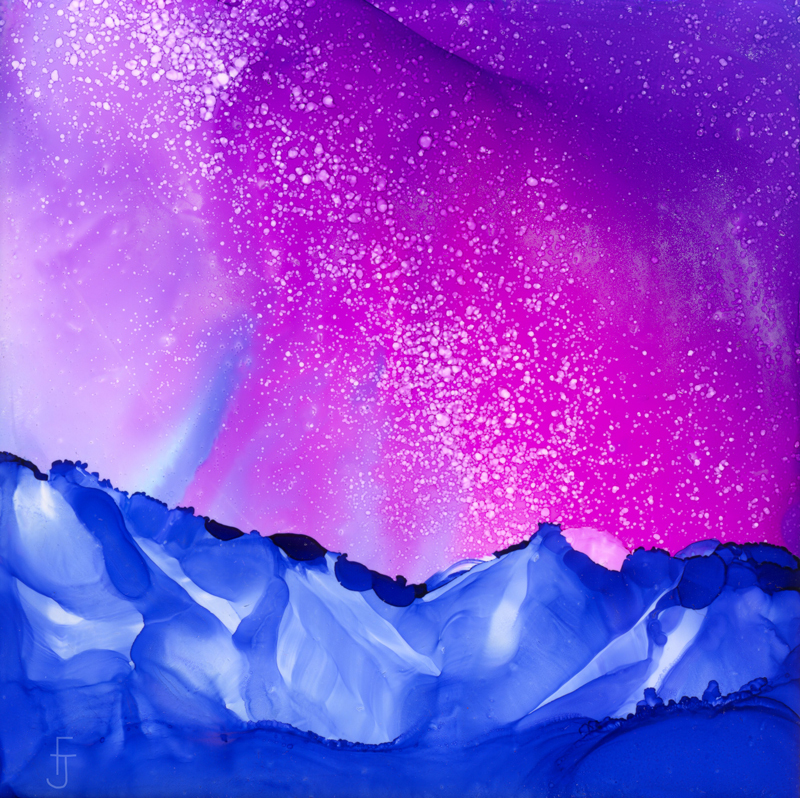 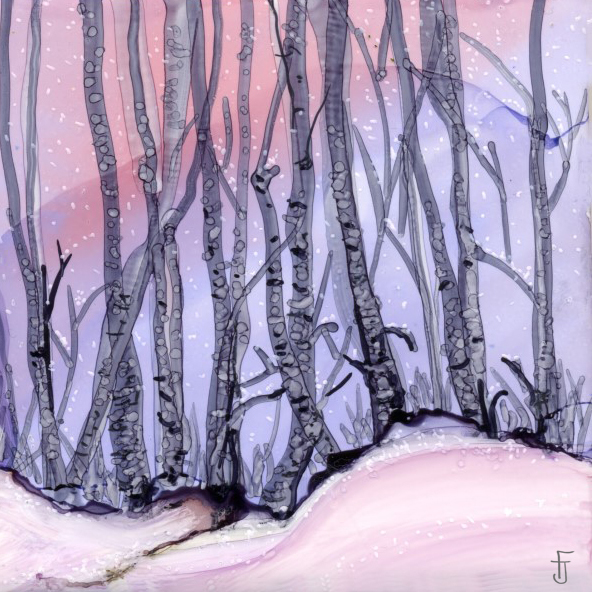 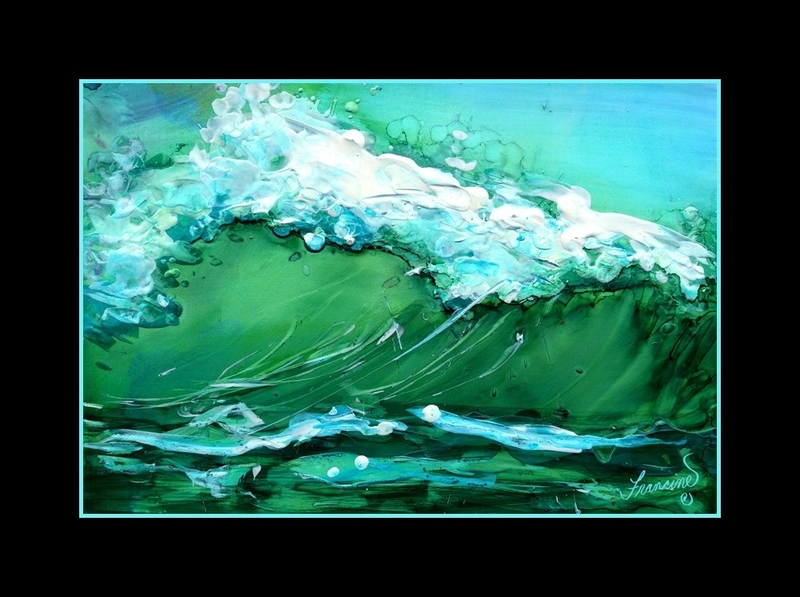 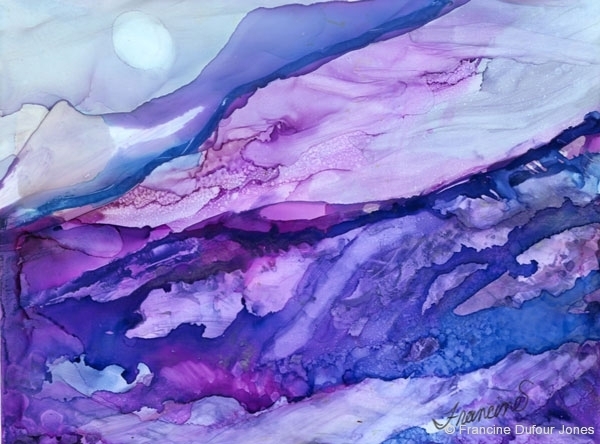 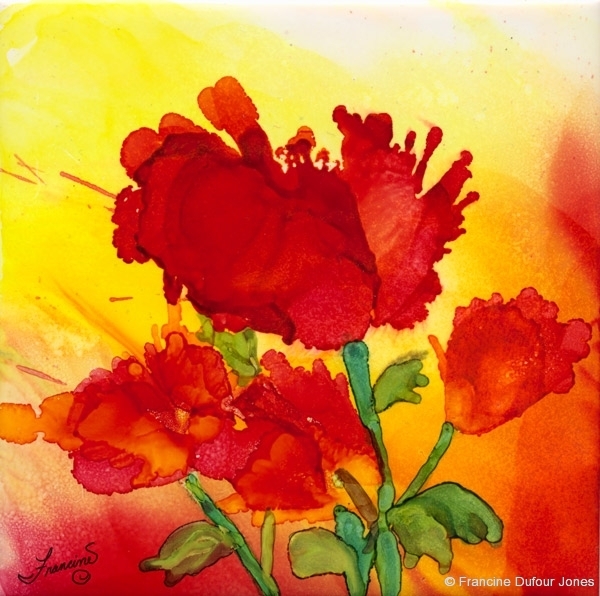 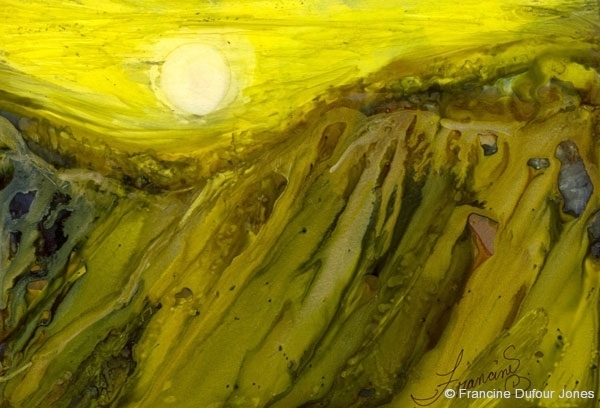 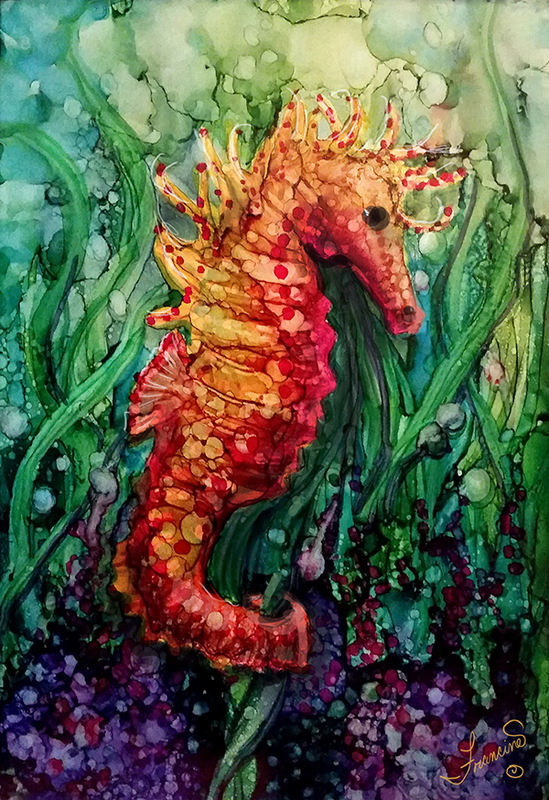 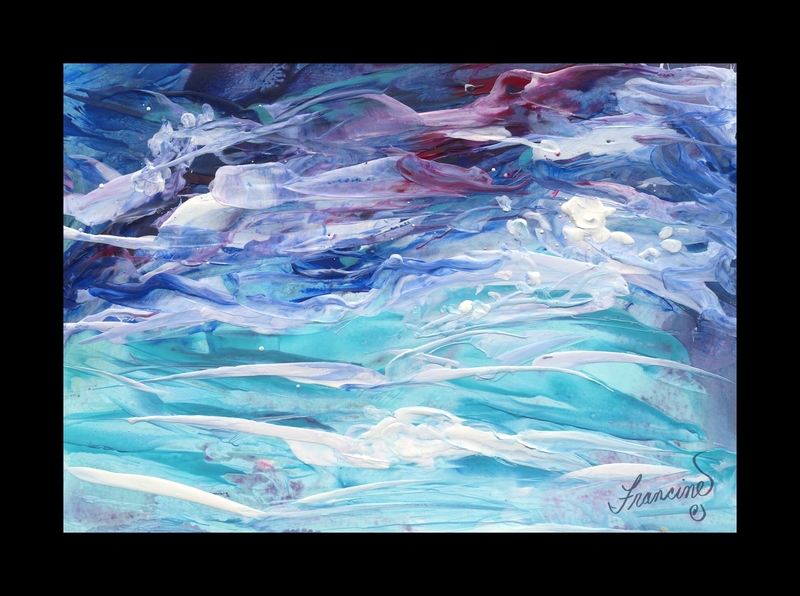 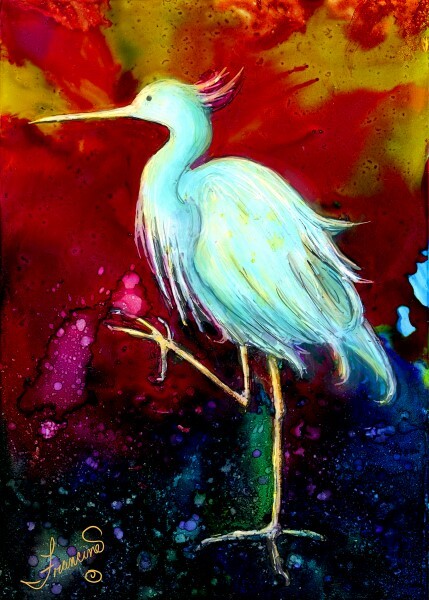 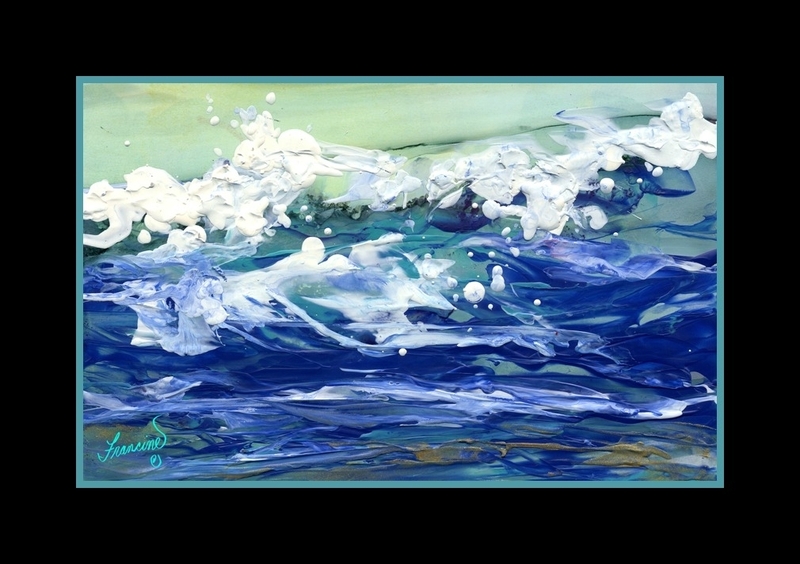 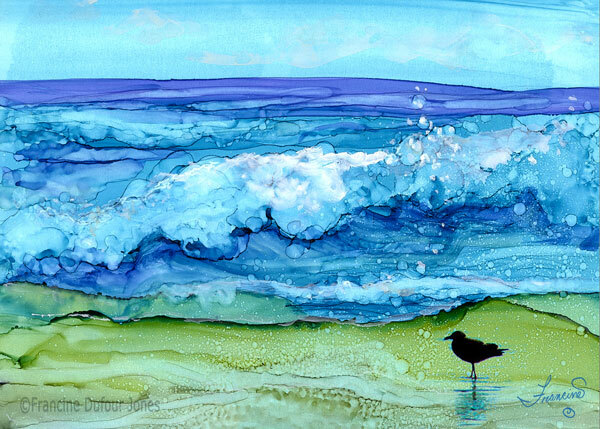 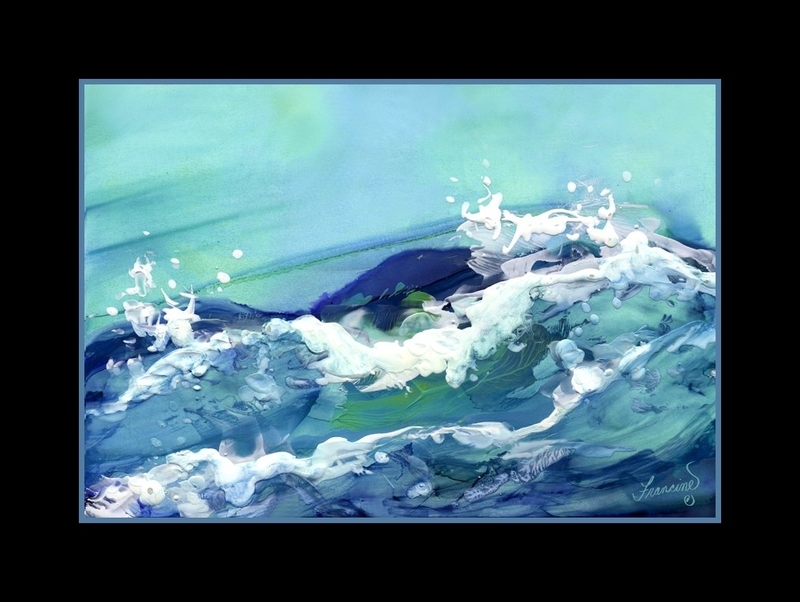 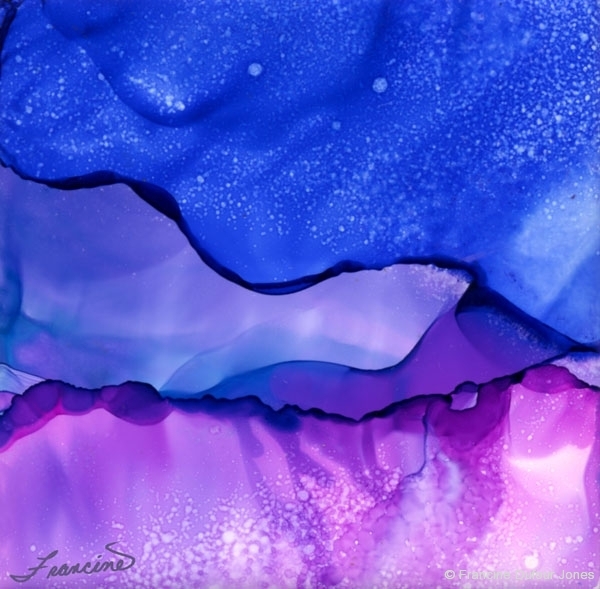 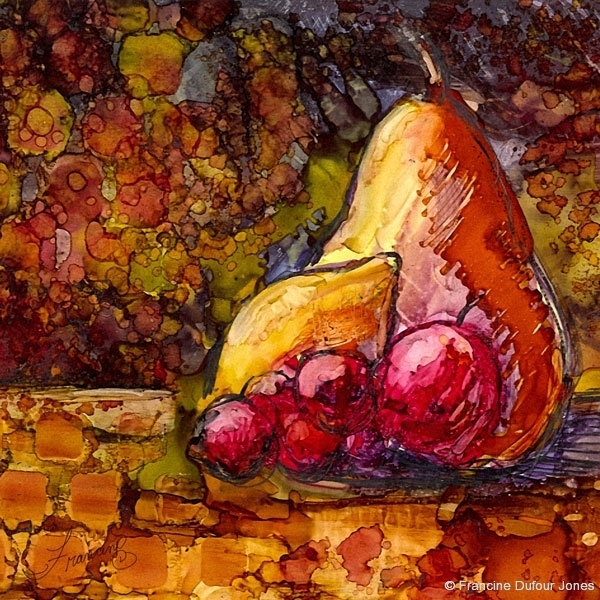 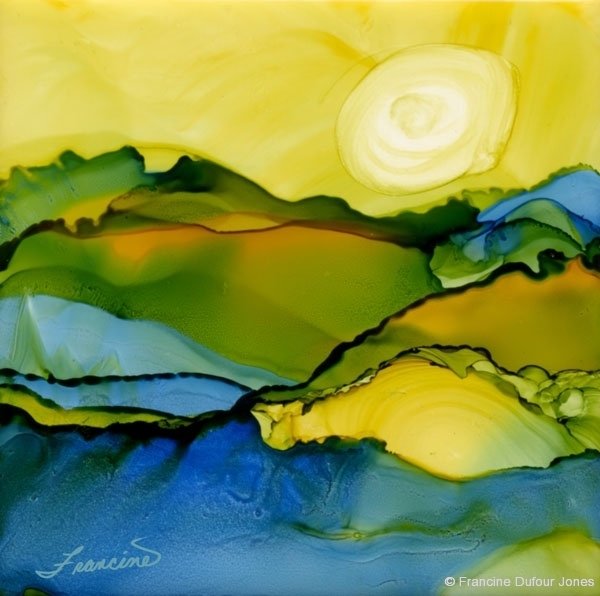 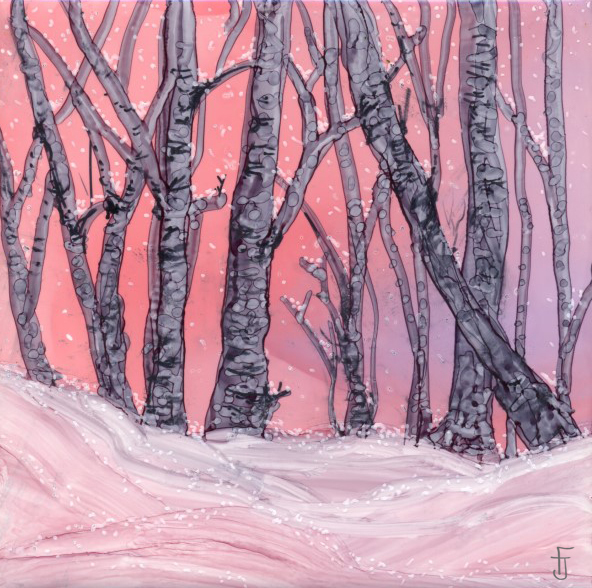 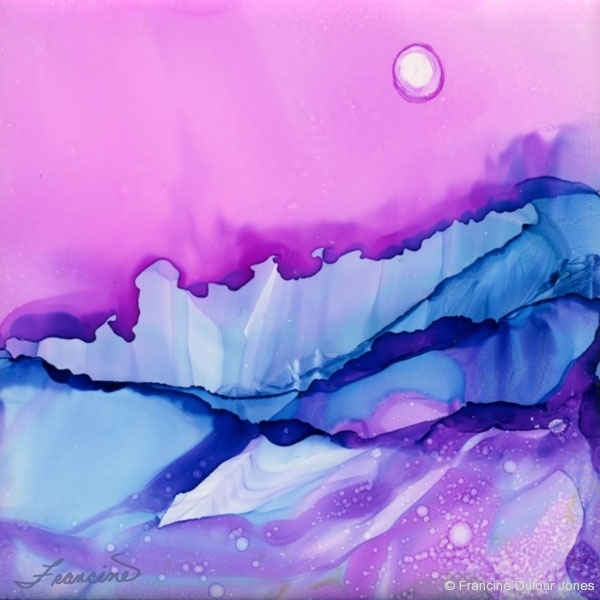 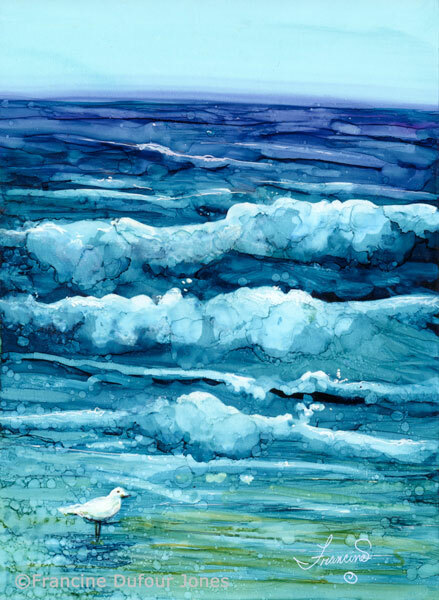 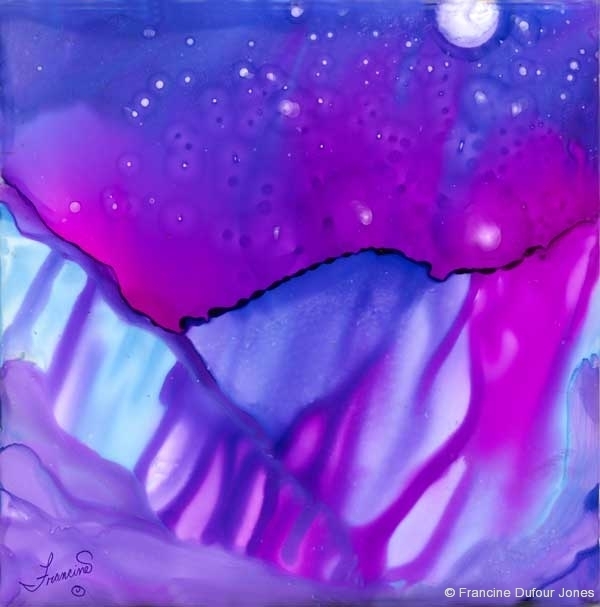 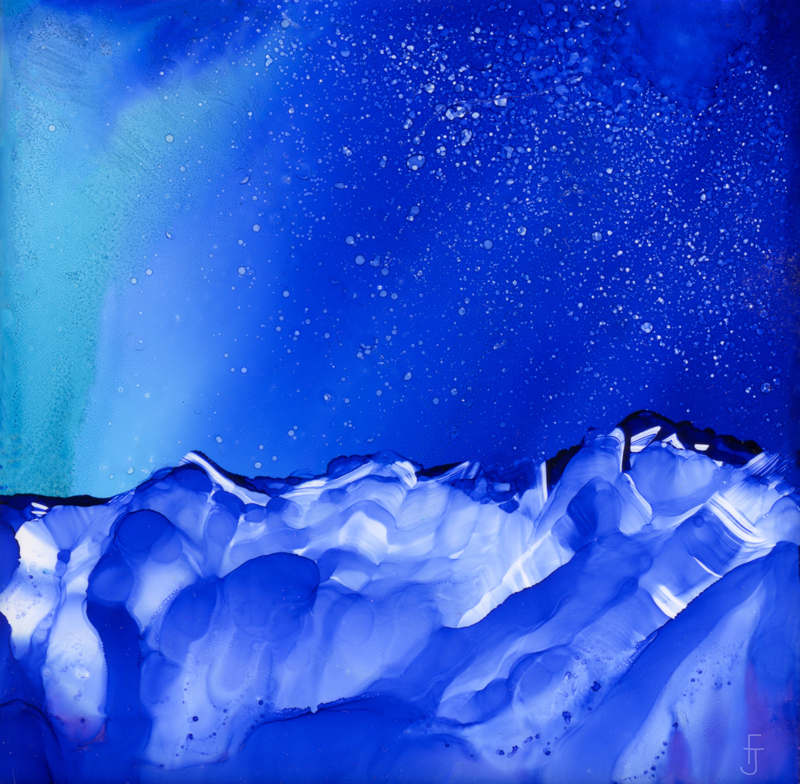 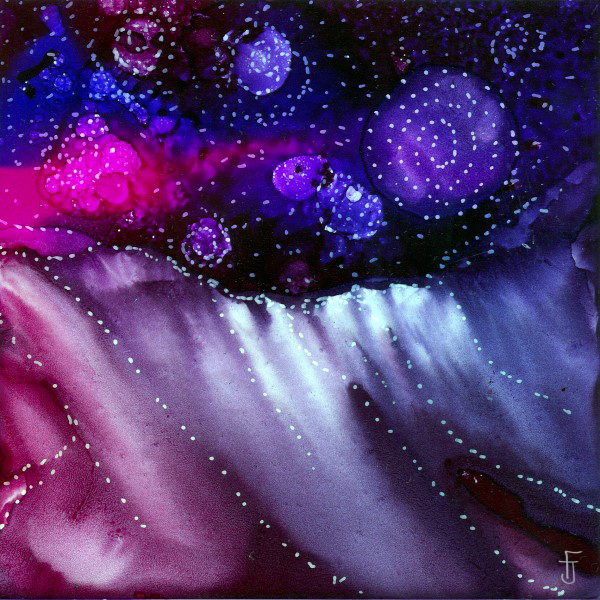 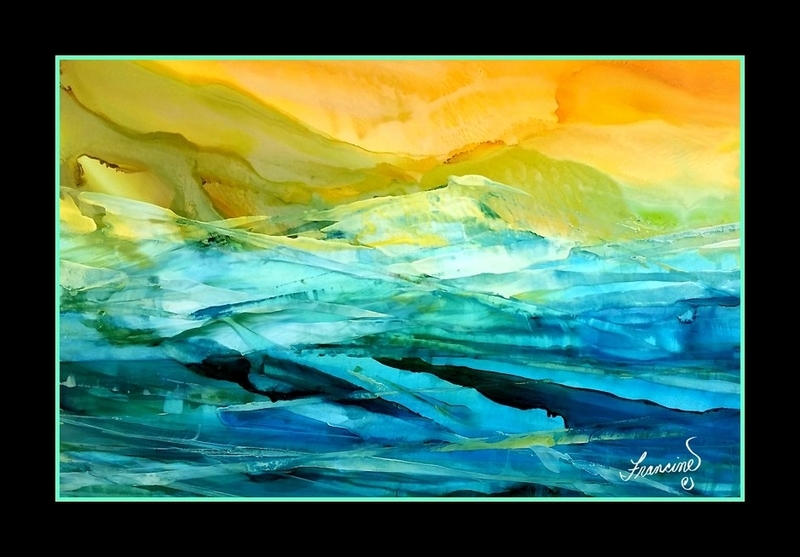 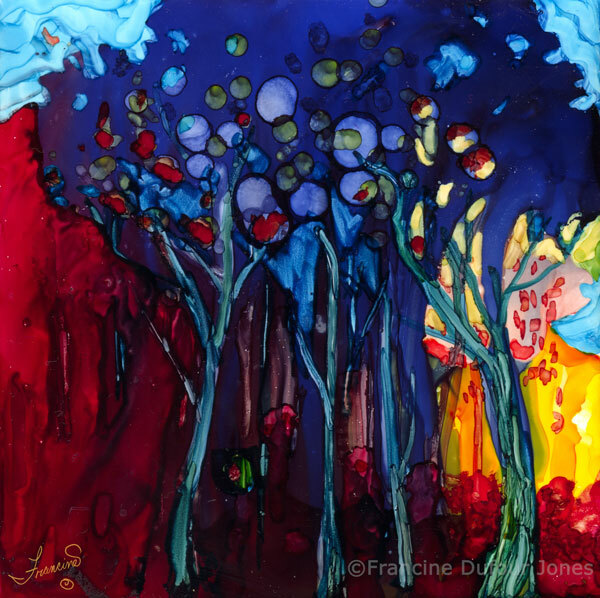 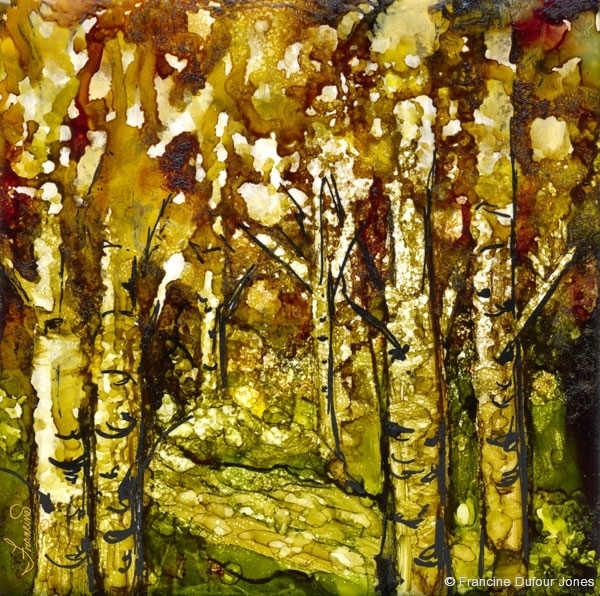 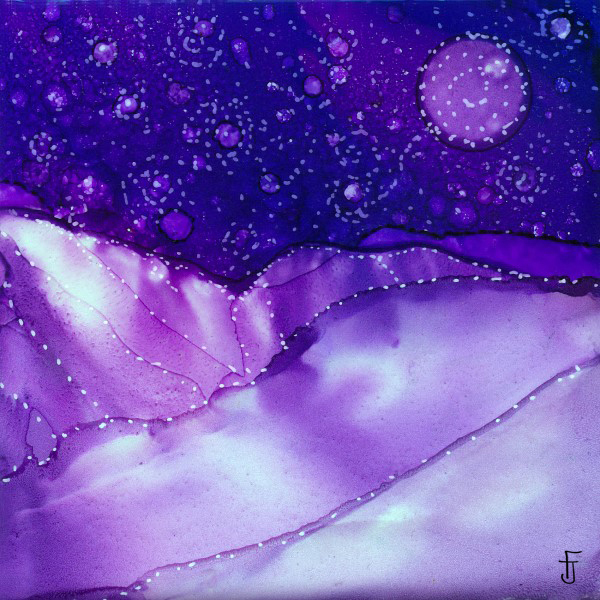 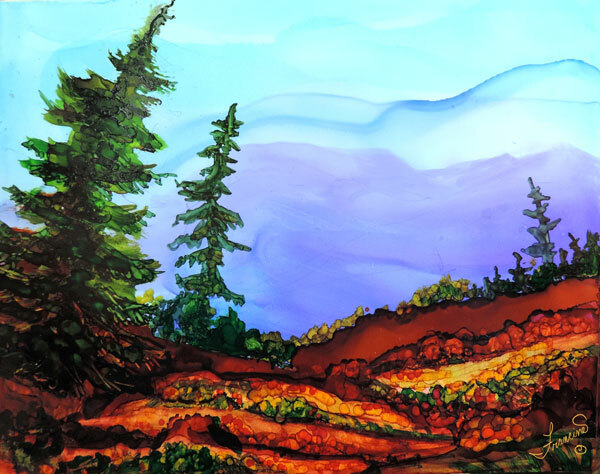 Sharing tips about an exciting new medium, alcohol inks, is what this site offers. 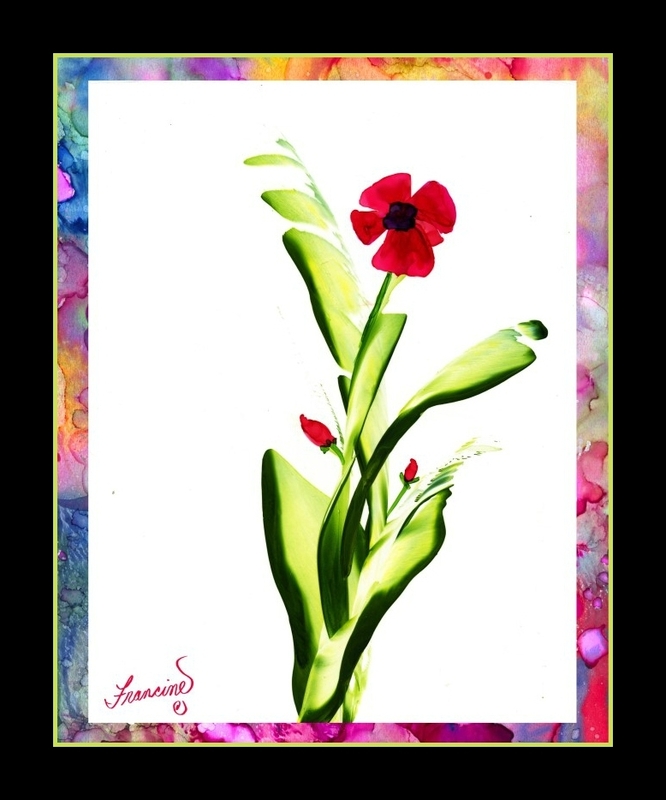 I have done and enjoyed many art forms. 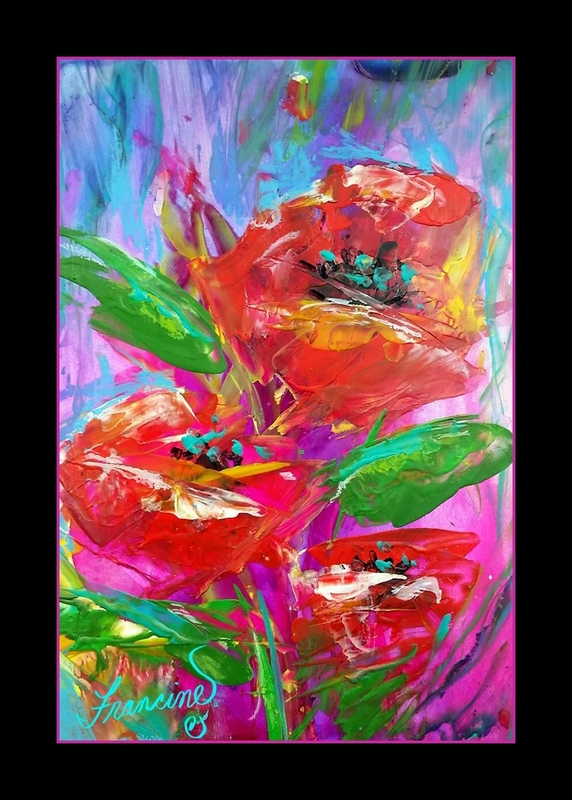 I love pure bright color! 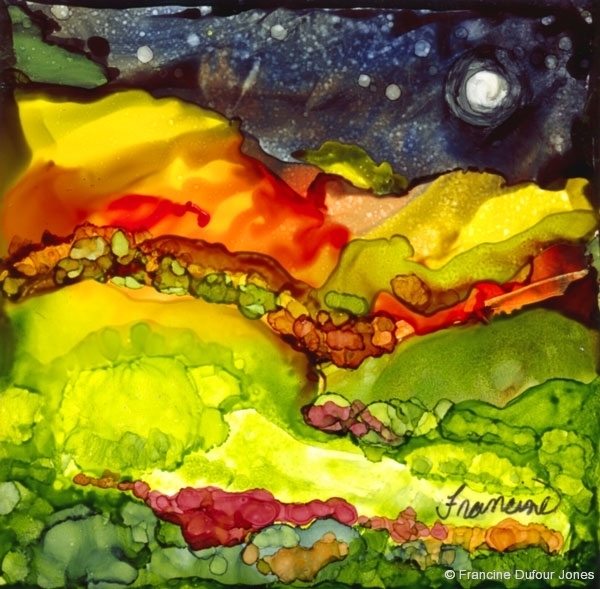 When I first saw the brilliance of alcohol inks I was hooked. 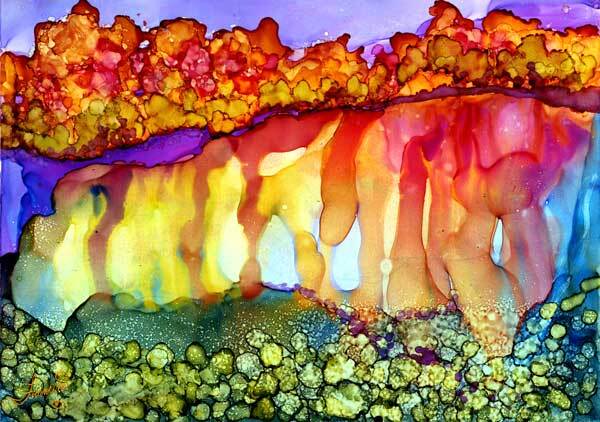 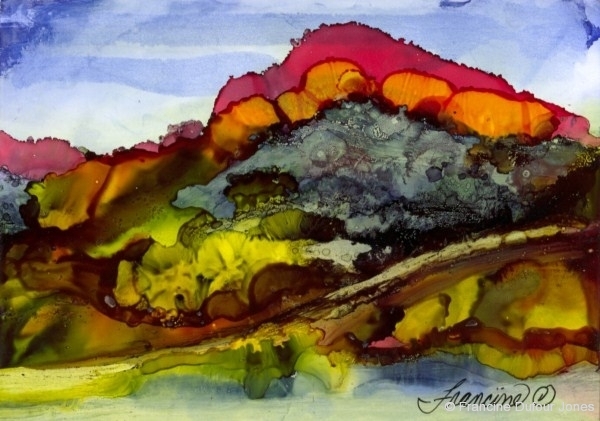 Not only are the colors exquisite, alcohol inks seem to have almost a life of their own. 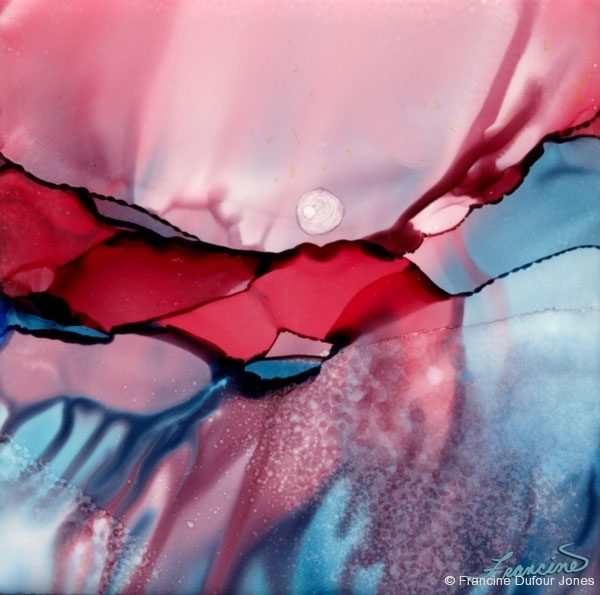 As you use the inks the art that forms often seems to match your mood and emotions as an artist. 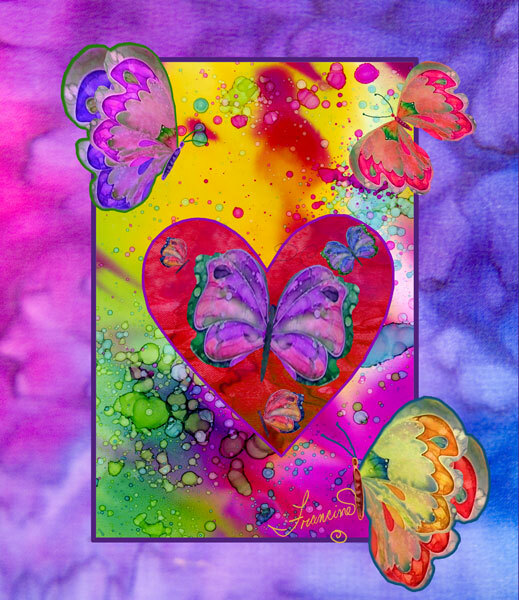 You have many delightful surprises ahead of you as you learn to use this medium. 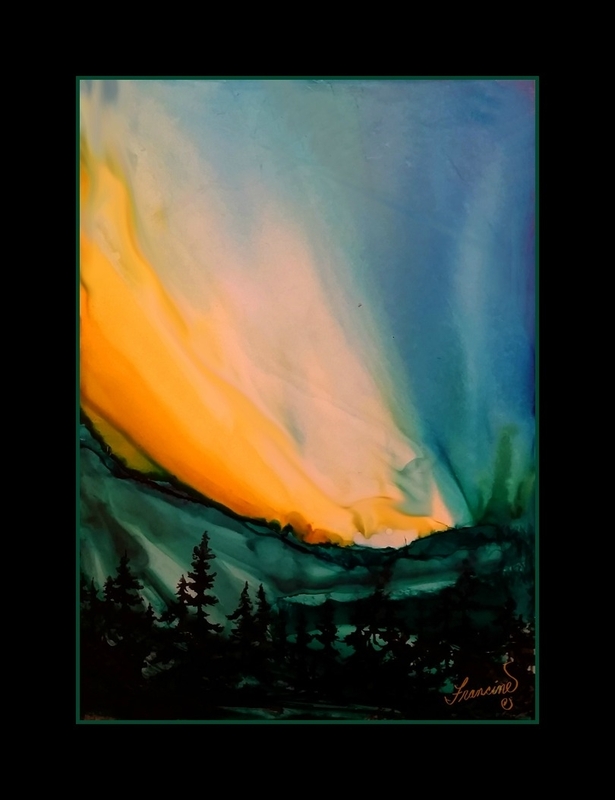 Each of us learns so much from other artists. 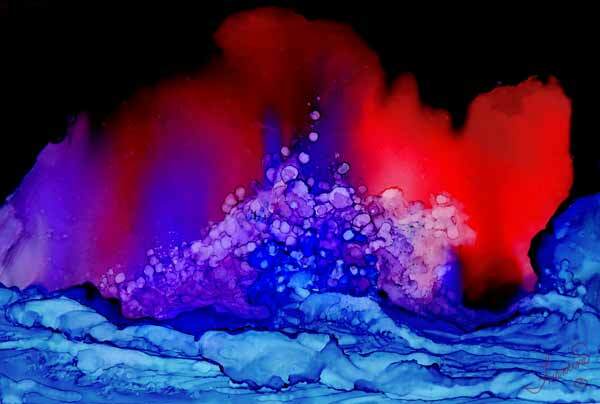 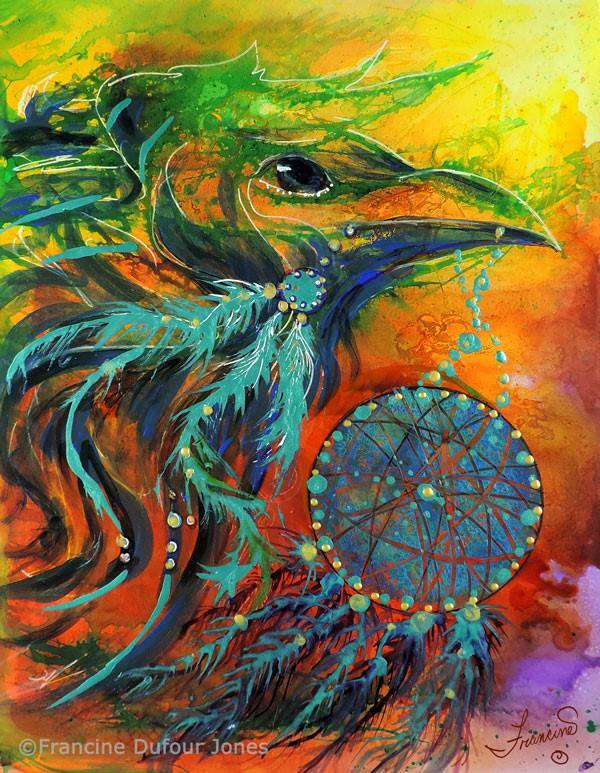 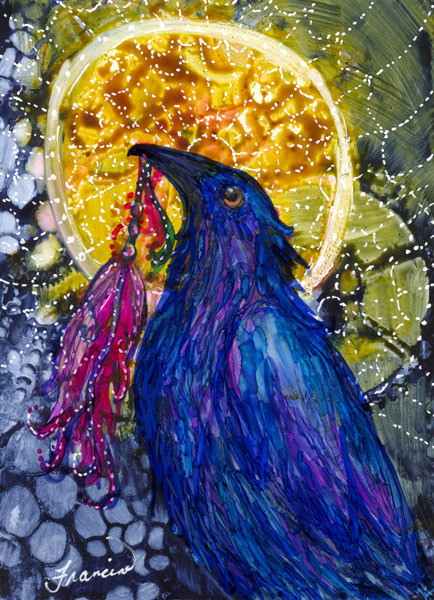 Artists who share their work and describe how they have achieved a particularly spell binding effect. 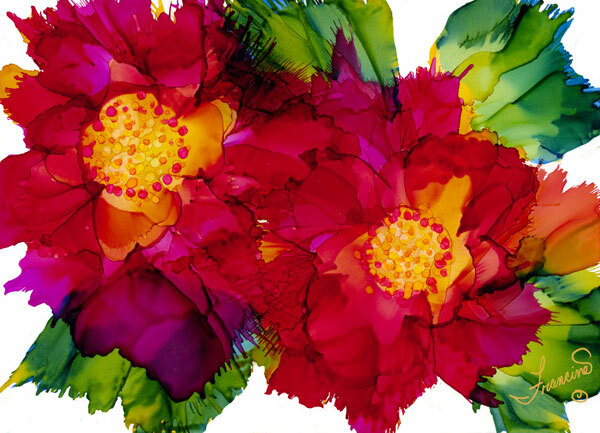 This is another opportunity to share and learn from each other. 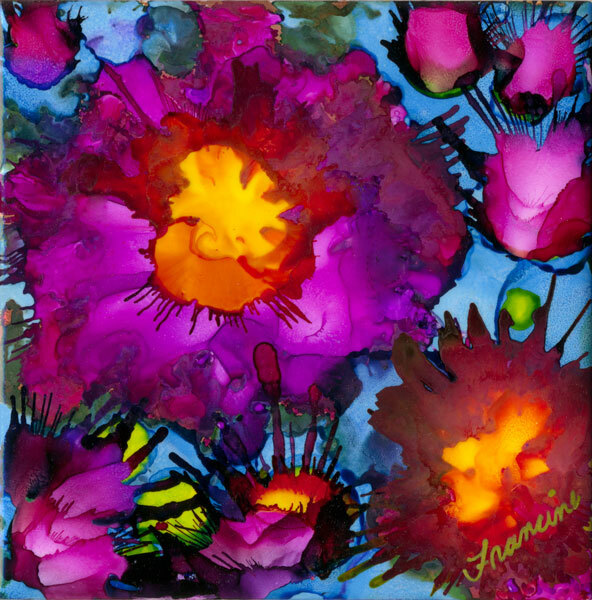 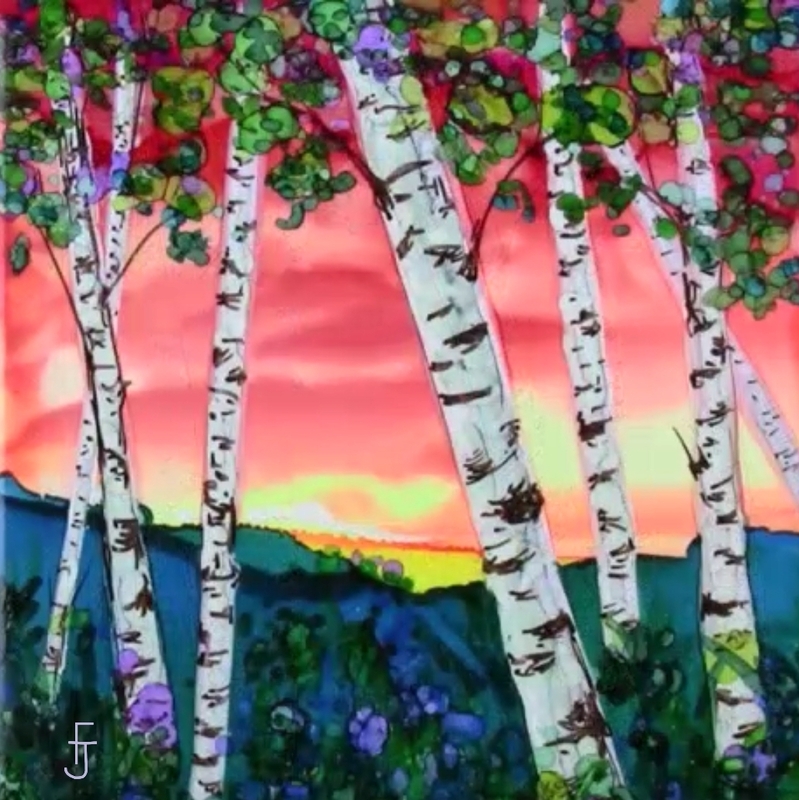 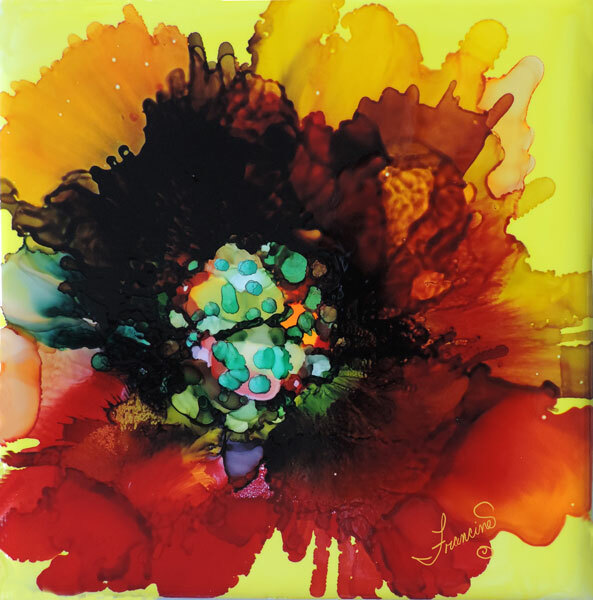 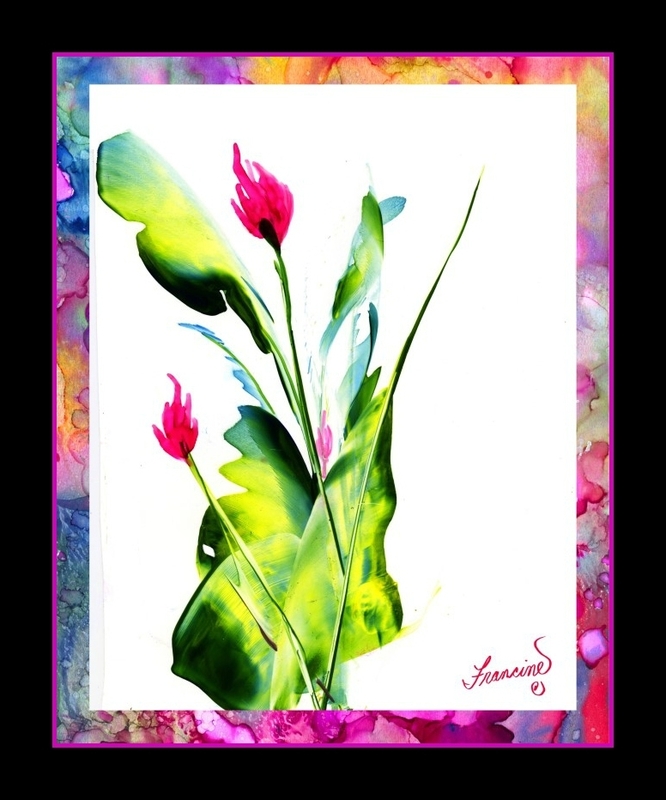 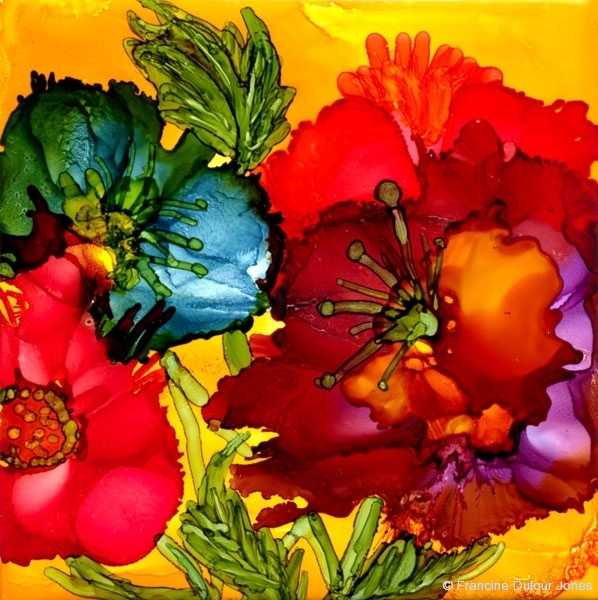 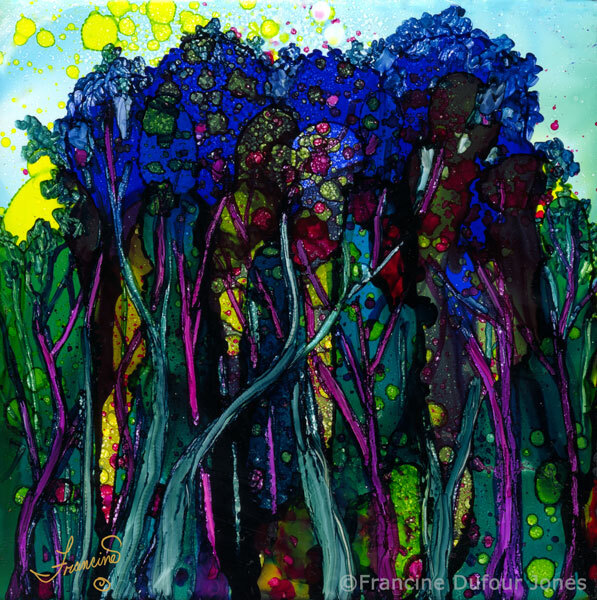 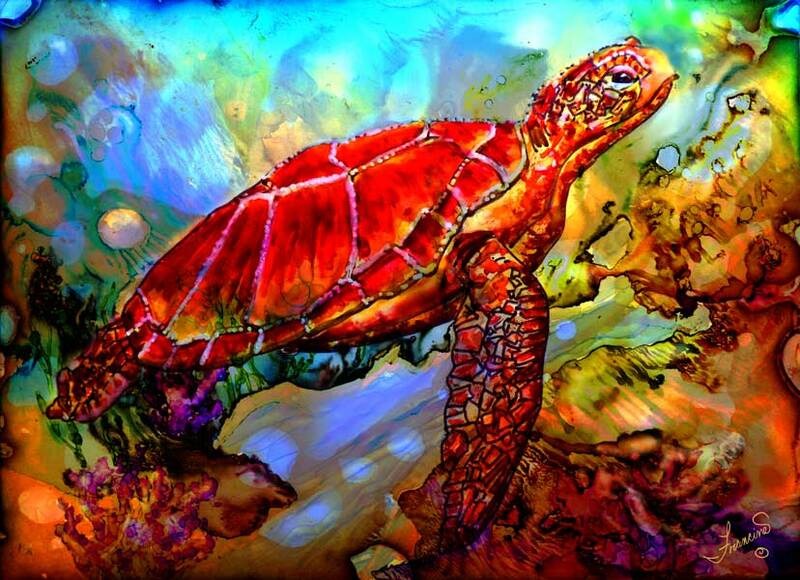 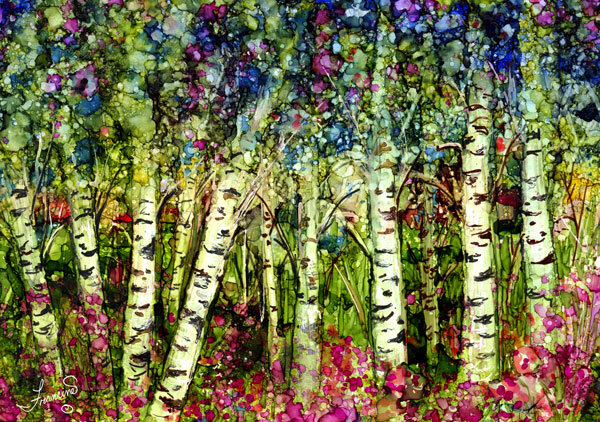 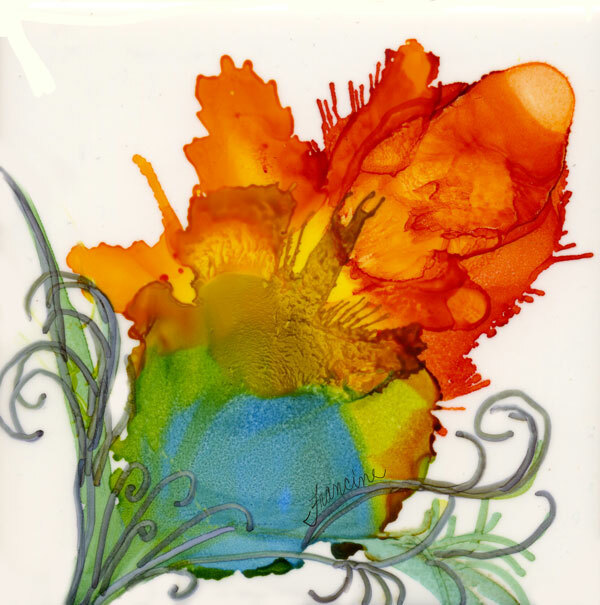 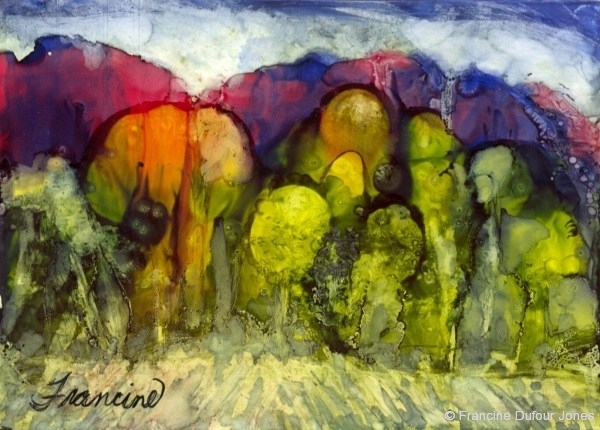 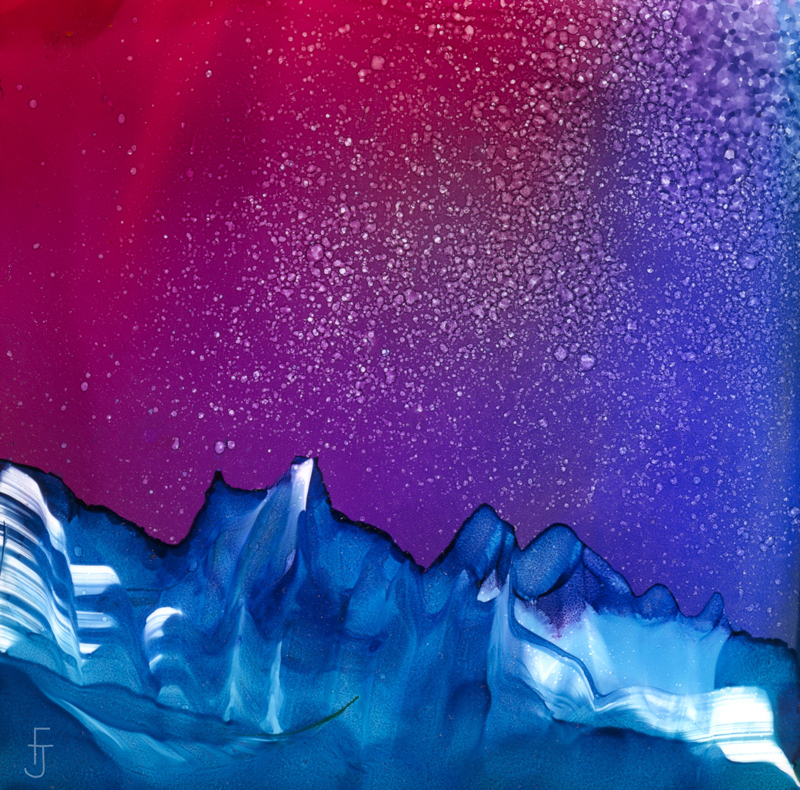 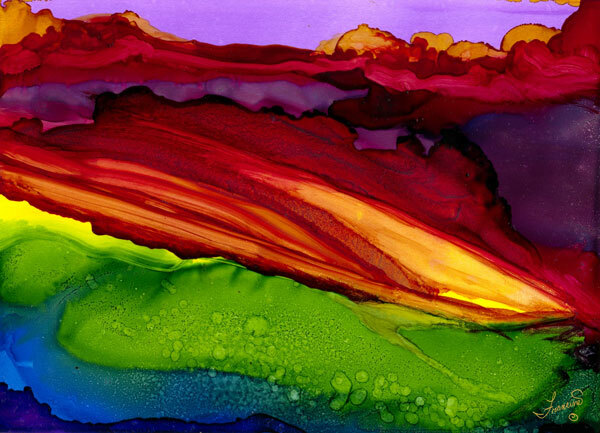 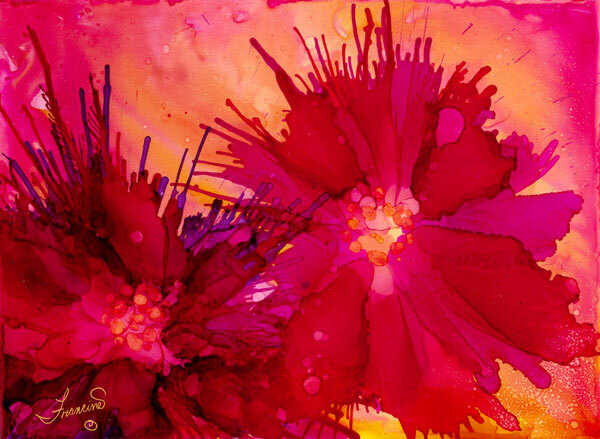 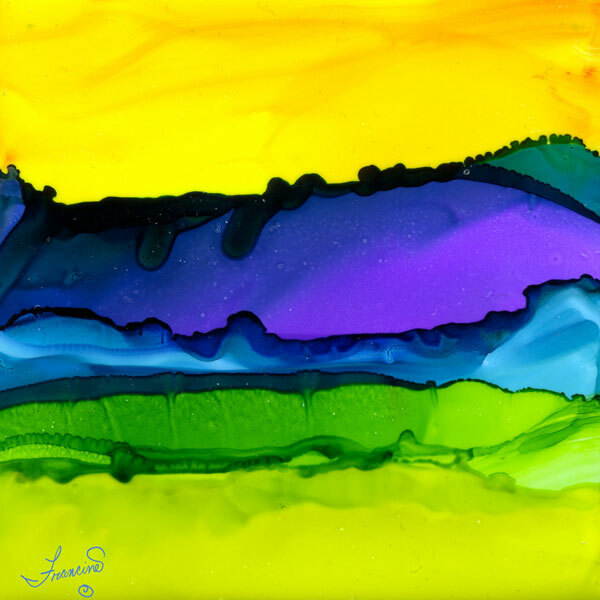 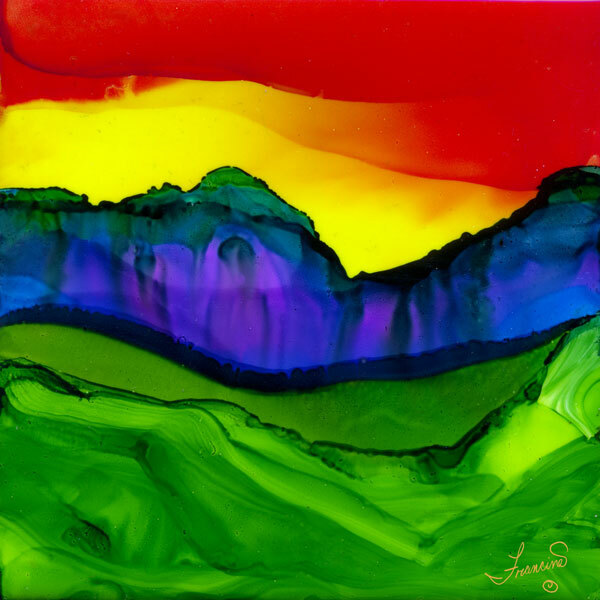 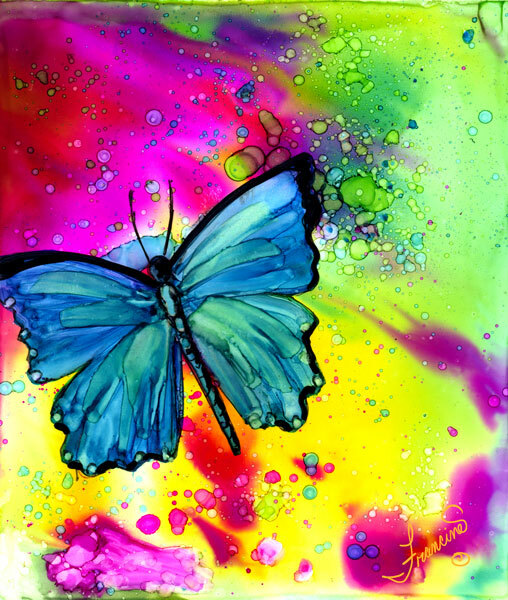 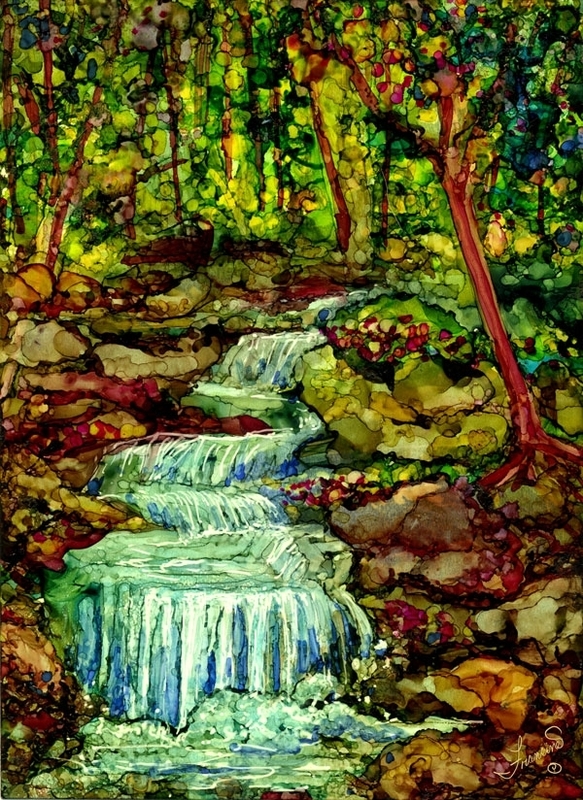 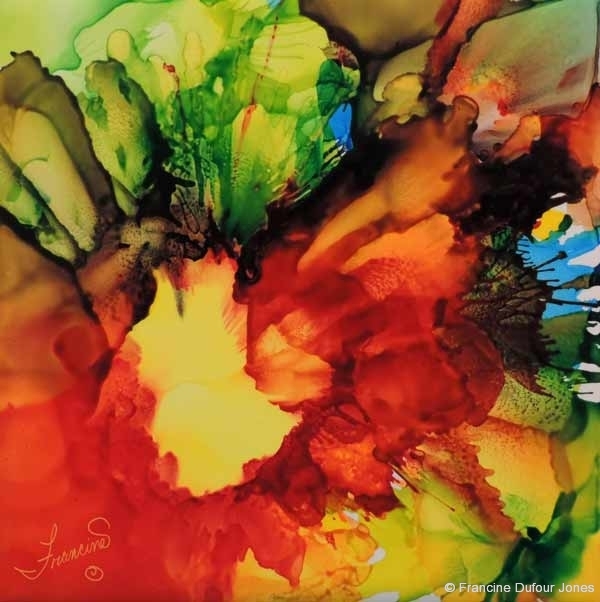 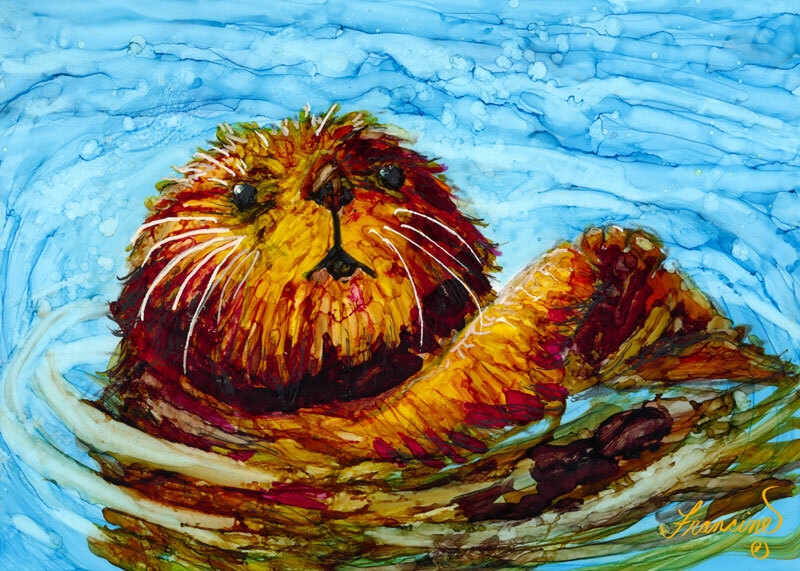 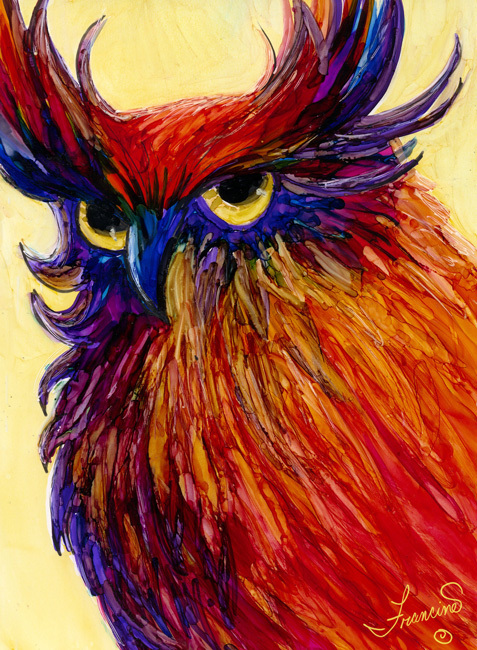 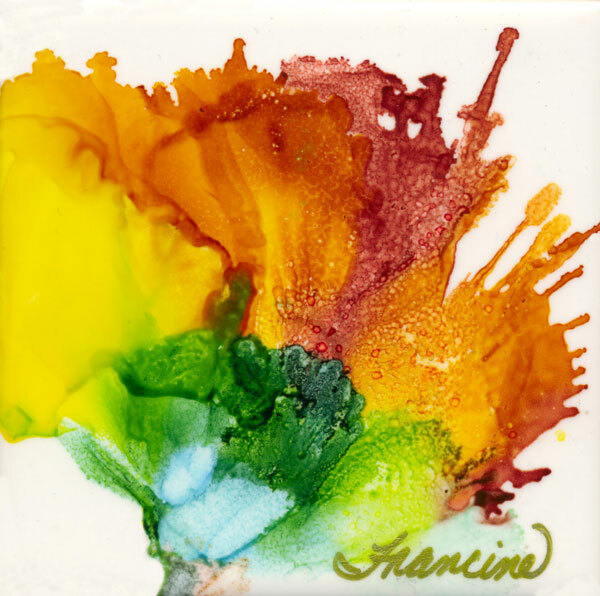 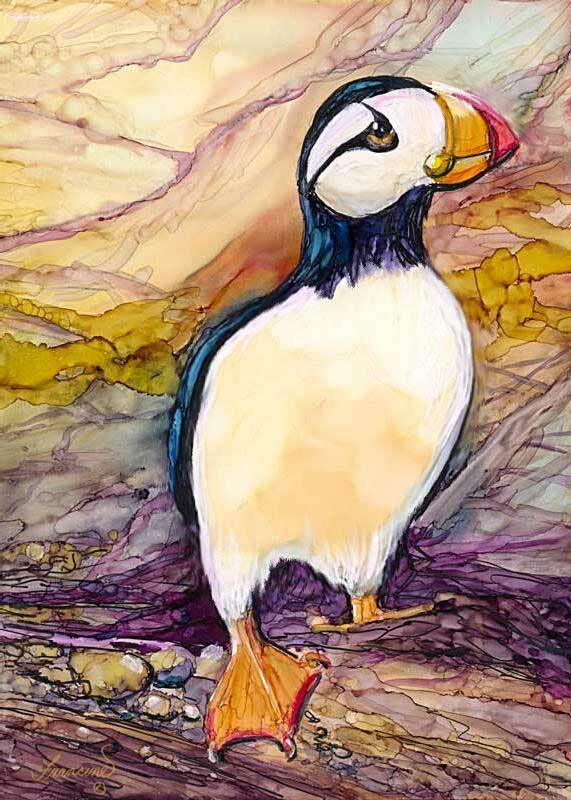 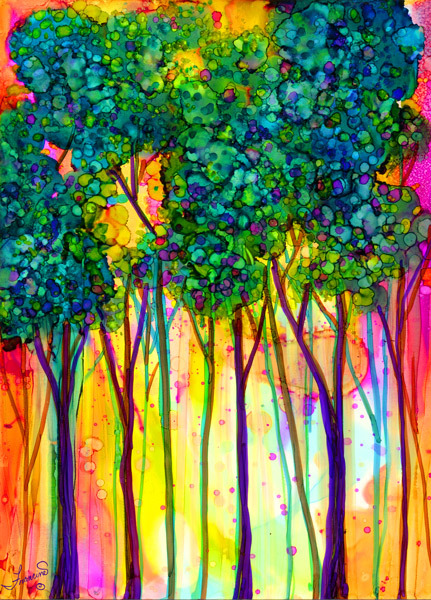 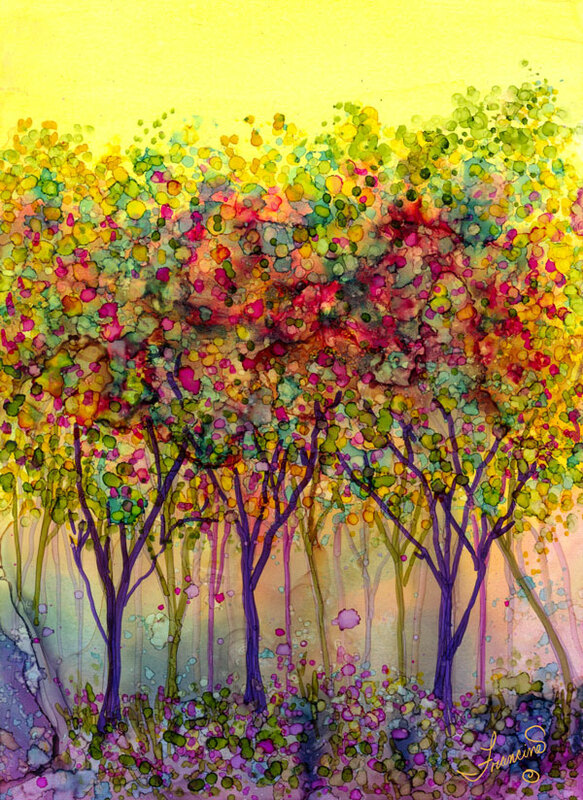 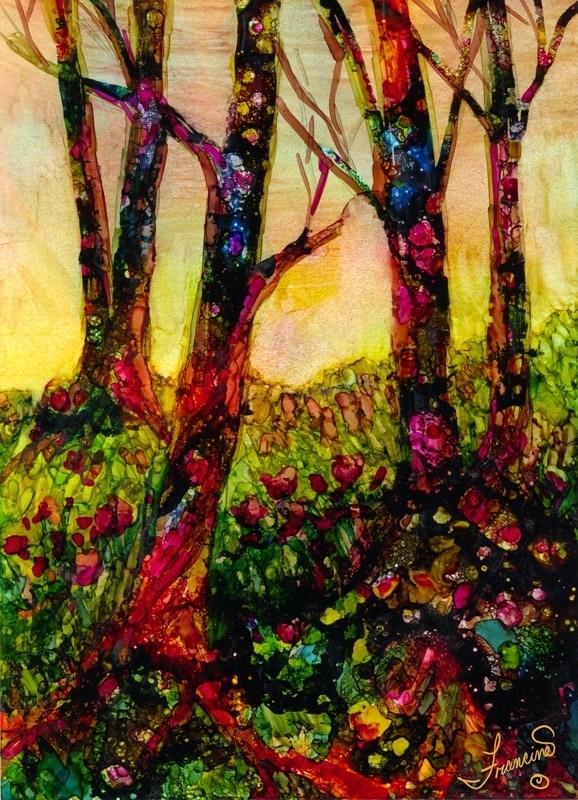 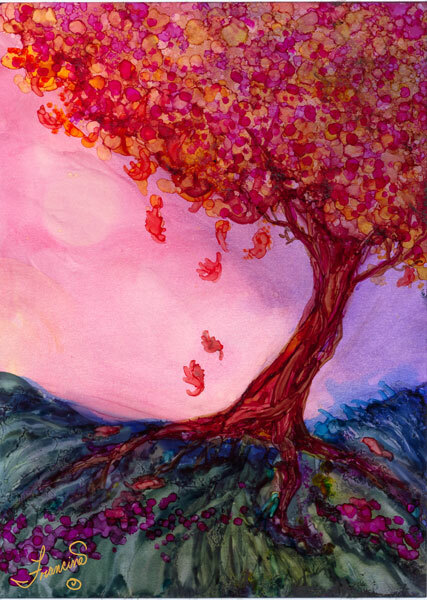 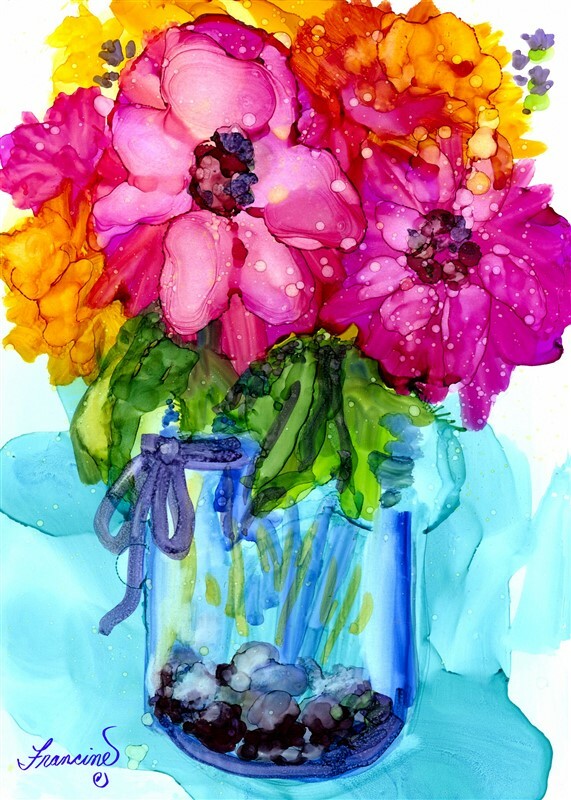 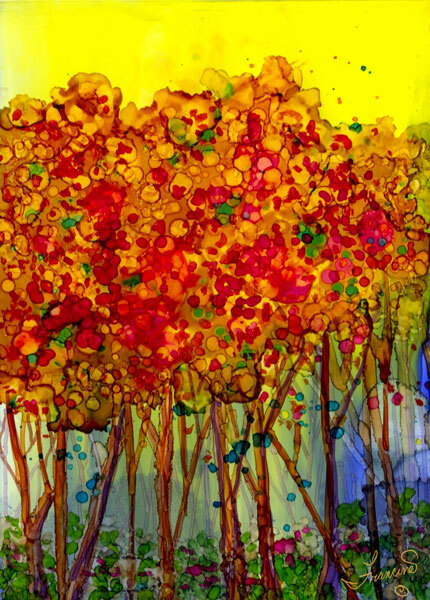 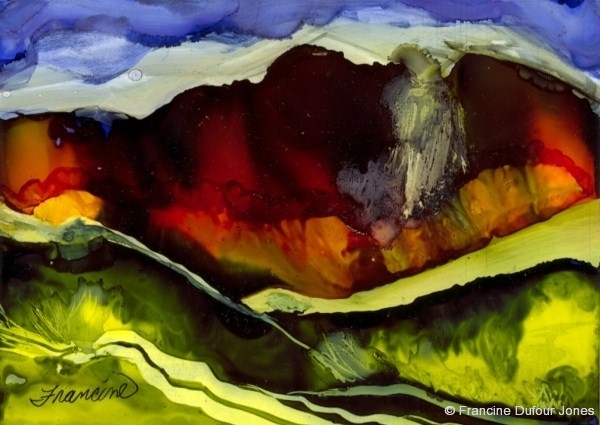 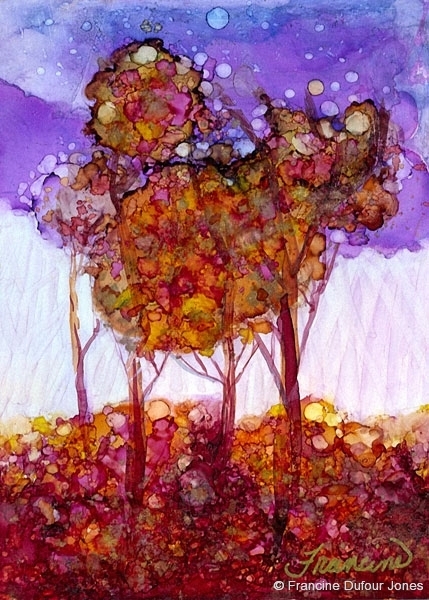 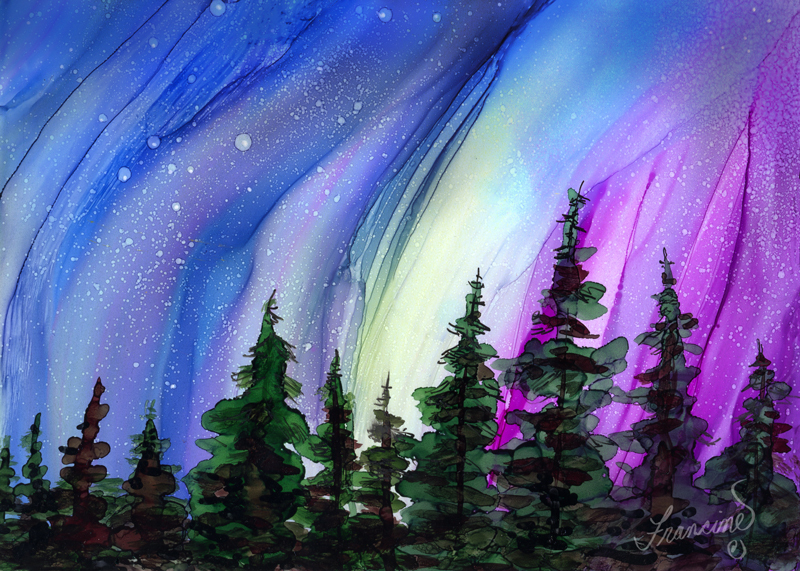 Please join us and begin your adventure with the vivacious character of alcohol inks. 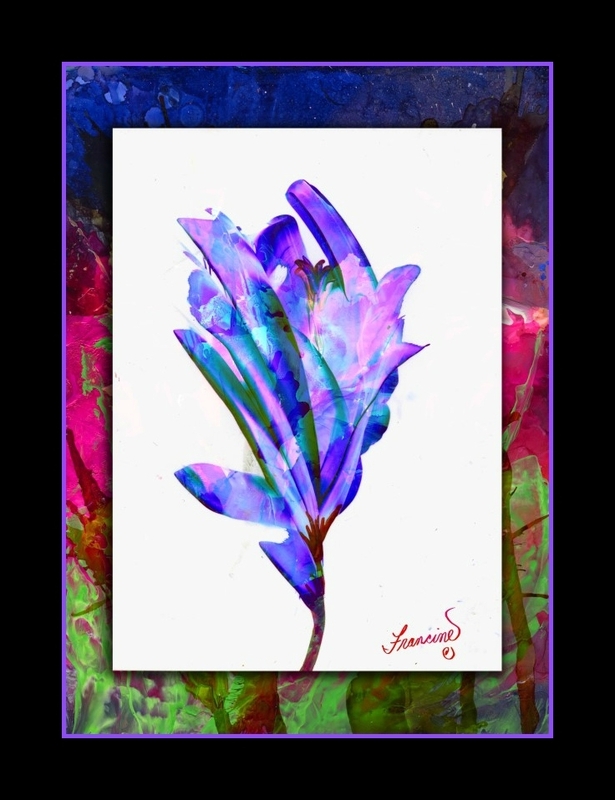 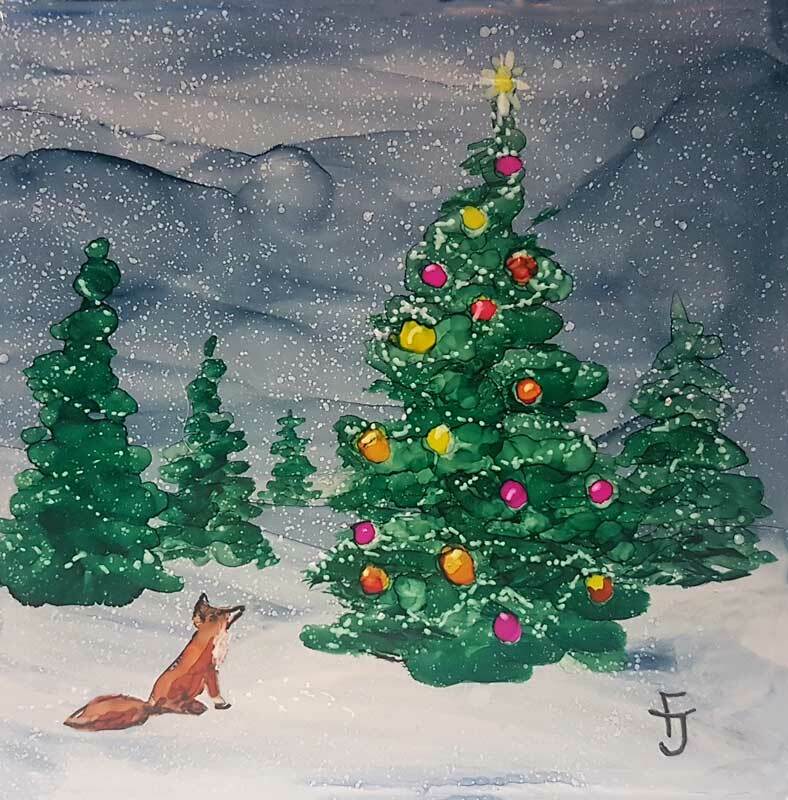 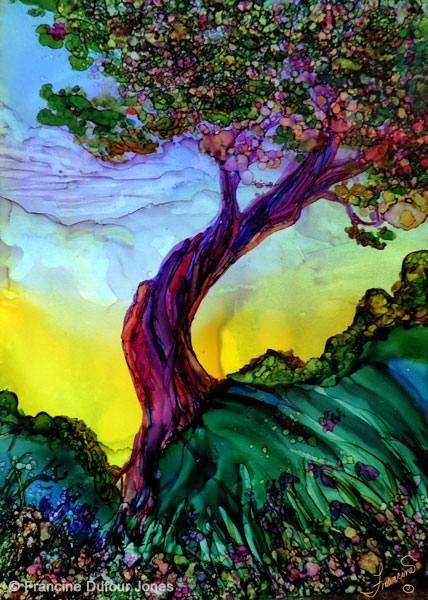 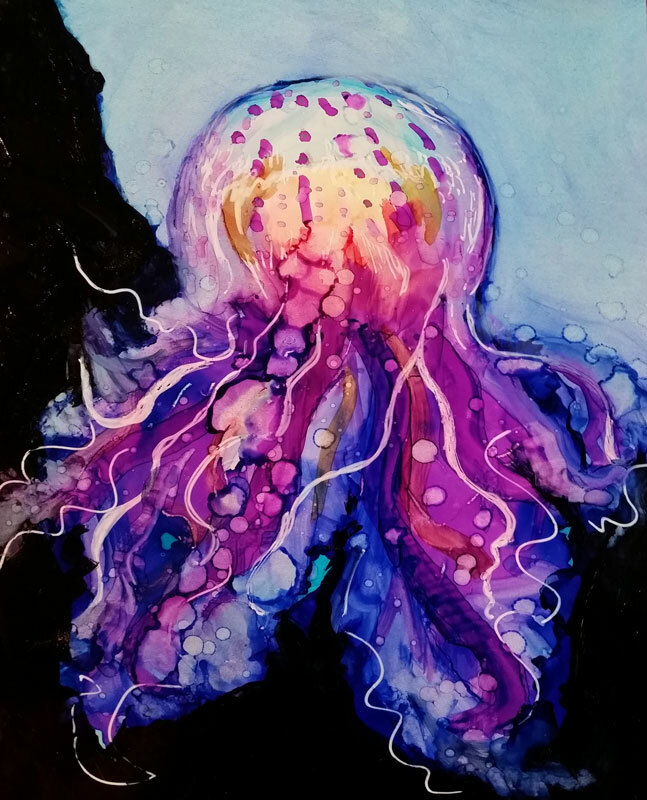 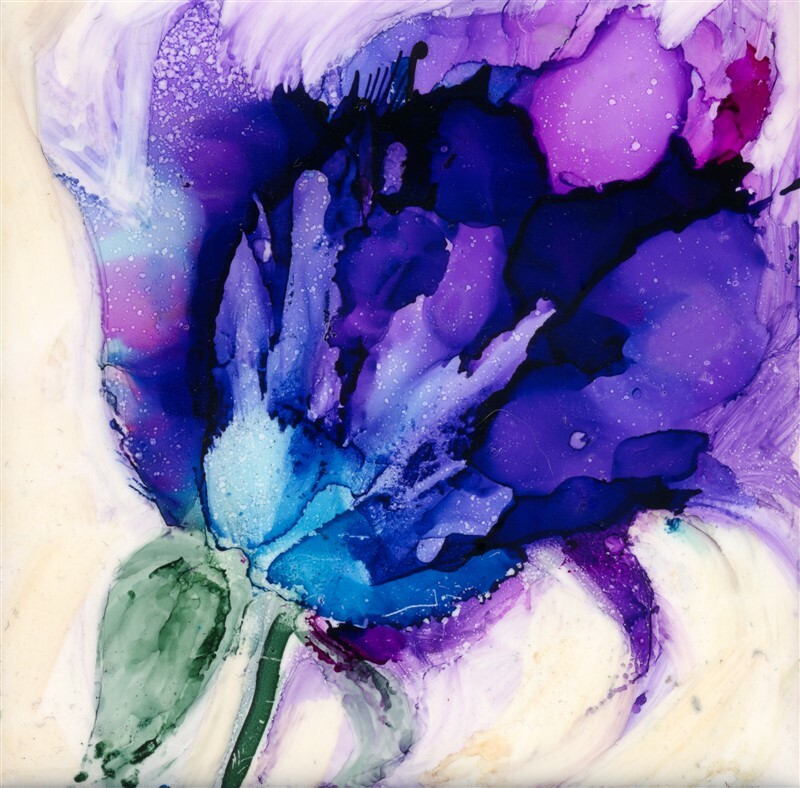 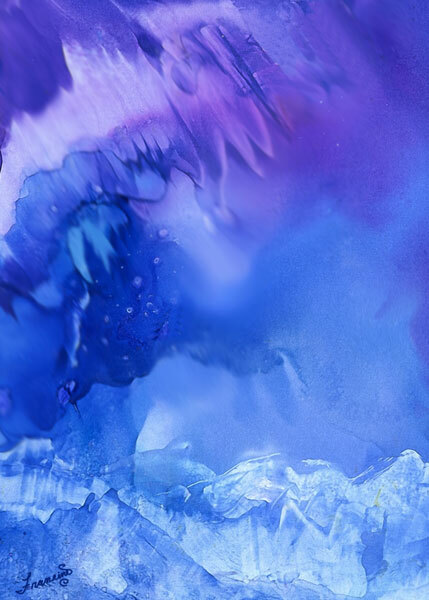 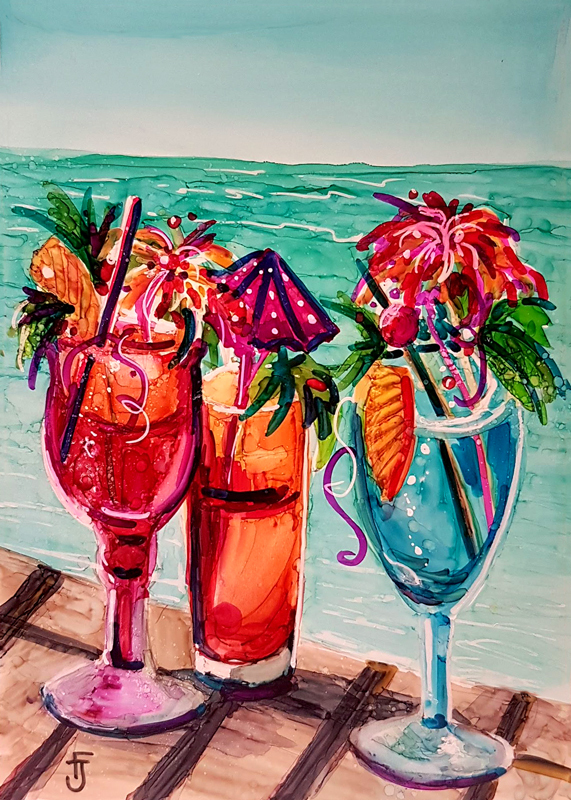 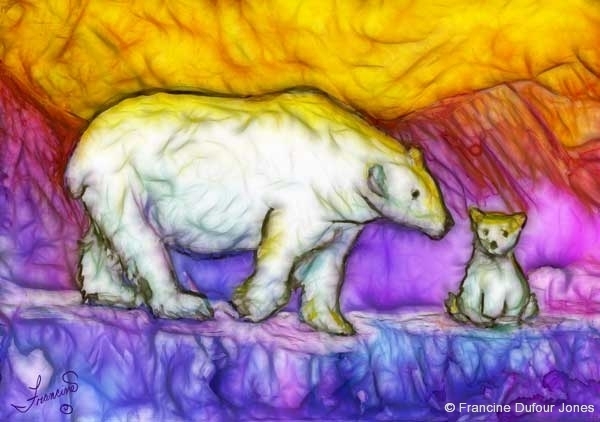 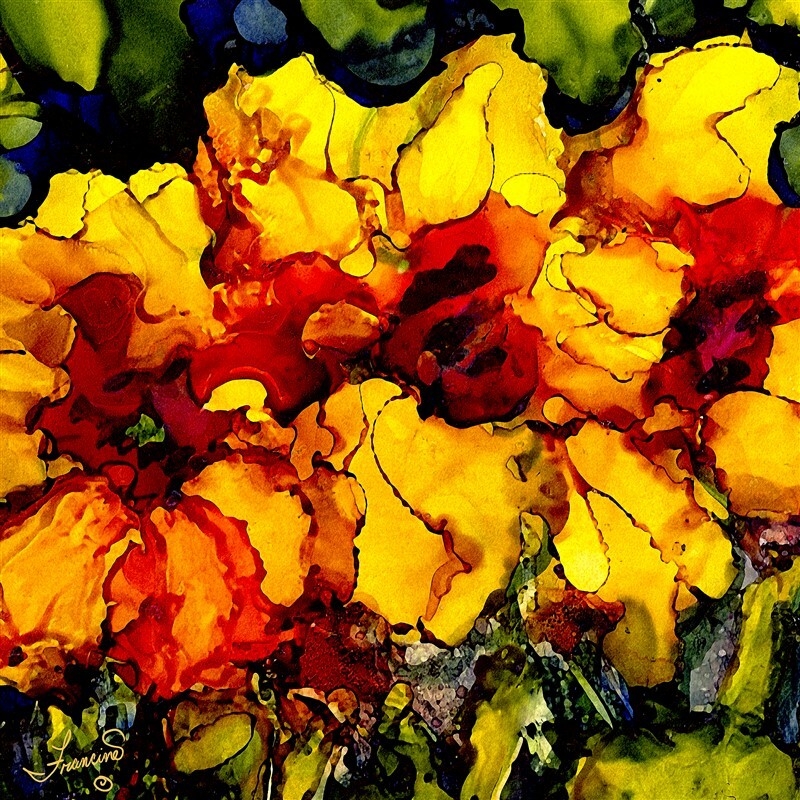 Make sure you sign up for the mailing on the right hand side of this page to receive updates in the field of alcohol inks, events, resources, and news.